An inscription and drawing on a pithos, or storage jar, found at Kuntillet Ajrud. The inscription refers to Yahweh and his Asheerah. 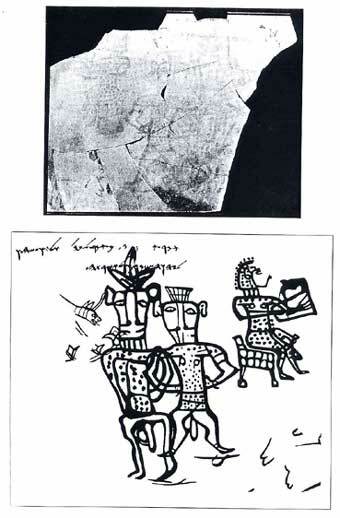 Some scholars believe the drawings includes Yahweh and his consort.